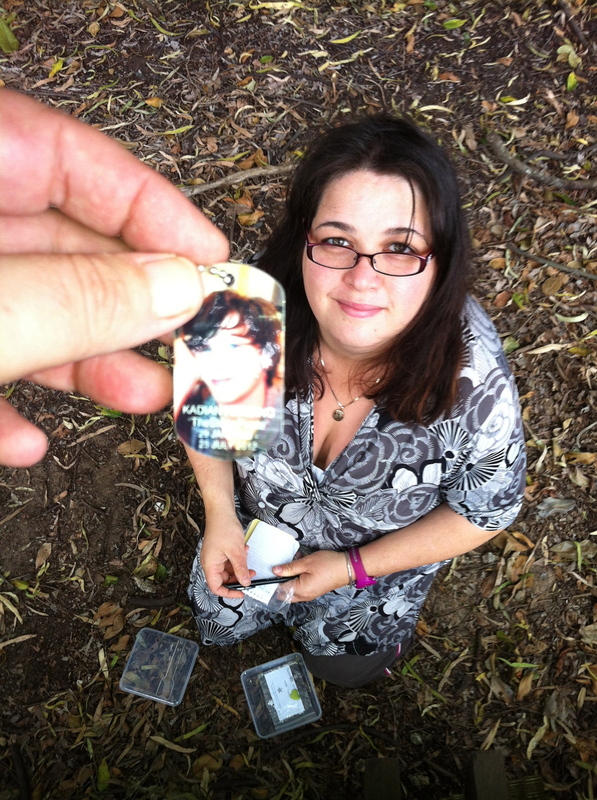 Here Catherine is featured placing Kadian's tag in the cache they are about to hide. Kevin is a practiced geocacher and demonstrates here the kind of pictures it is lovely to have to post. He sent a series of pictures he and his wife Catherine took on their way to the cache. 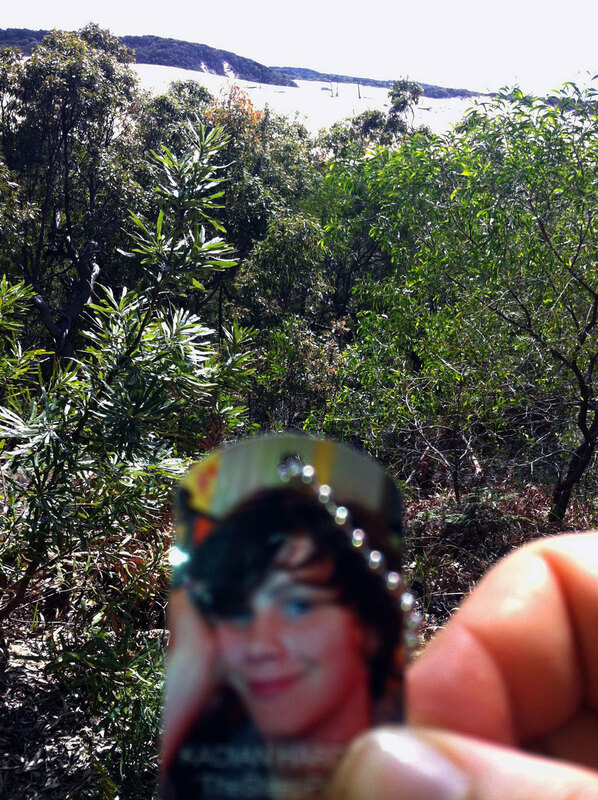 Kadian loved Geocaching because it took him to beautiful places. So we printed 100 geotags in order that people could travel with Kadian's spirit to Unesco's World Heritage Designated Sites of Culture and Outstanding Natural Beauty around the world. 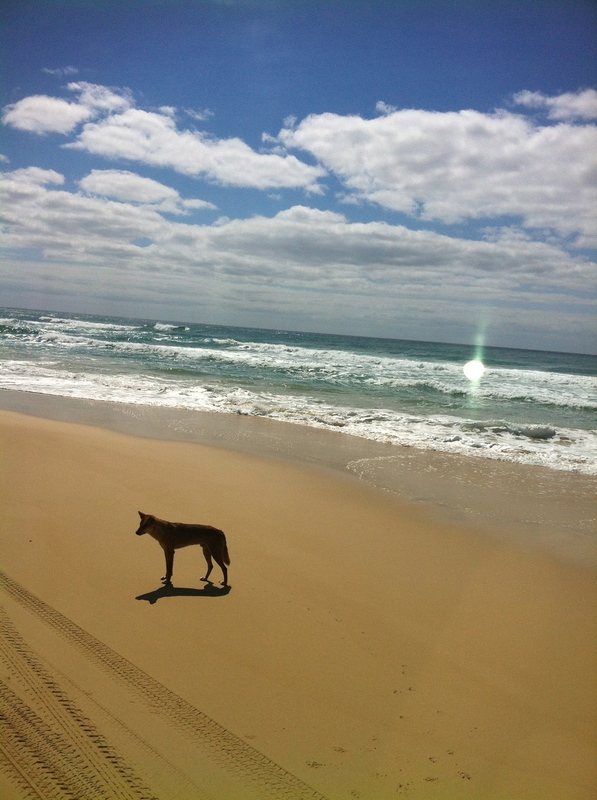 Please join us in celebrating Kadian in a fun and positive way by using this adventure to take you to places you may not have gone - and bring Kadian's spirit alive by taking him with you there. Frasier Island is the world's largest sand island. Click the link above to read all about this rare biological habitat.